We are passionate about providing excellent care for our patients and clients. Support from our team really makes a difference in people’s lives, enabling them to maintain an independent and more comfortable life in their own home. Being part of making that difference, makes the role of a carer extremely worthwhile and satisfying. We seek to employ people who are as determined as we are to provide this excellent care: we look for kindness and compassion, as well enthusiasm and experience, when selecting carers. Carers must be drivers and have a car available for work in order to travel between clients’ homes. Sufficient travel time is provided for carers to allow them to arrive at each client’s house without feeling stressed. 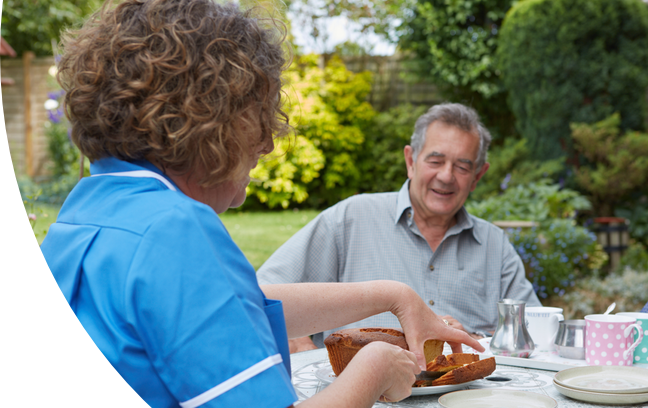 Our visits are long enough for carers to help and support our clients in a dignified and unhurried way. If you are interested in working as part of our team, we would love to hear from you. Please call us on 01442 843064 or 07920 887414. Alternatively you can send an email to enquiries@yourownhomecare.co.uk. Your Own Home Care is an equal opportunities employer.